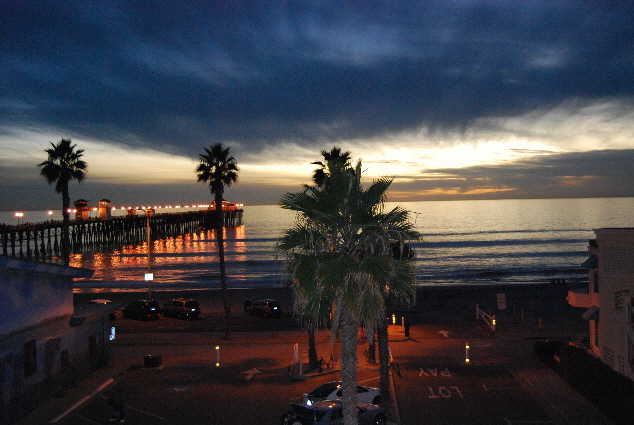 Oceanside pier - right outsode the door at Wyndham OSide. 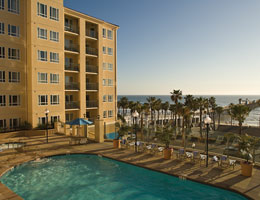 This is a Wyndham Vacation Resort. 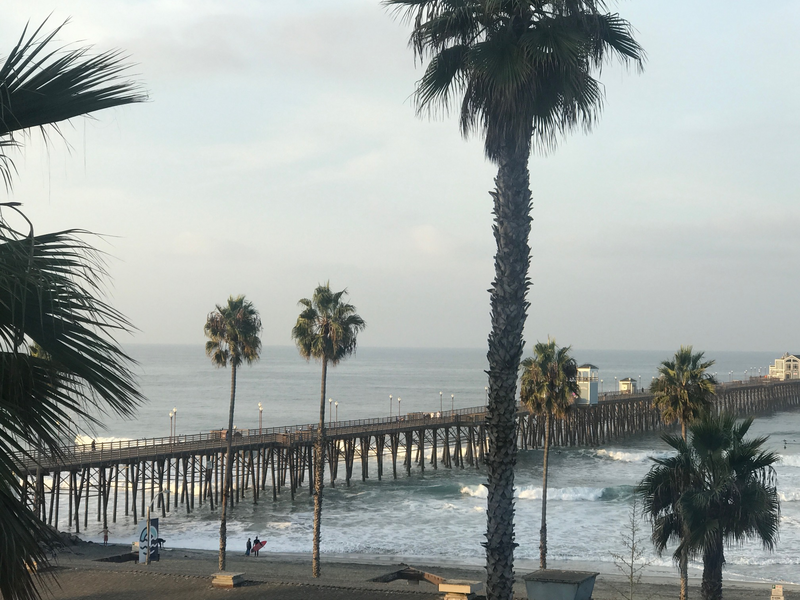 Just 35 miles to the north of San Diego and 83 miles south of Los Angeles, Oceanside Pier Resort is truly a Southern California delight. 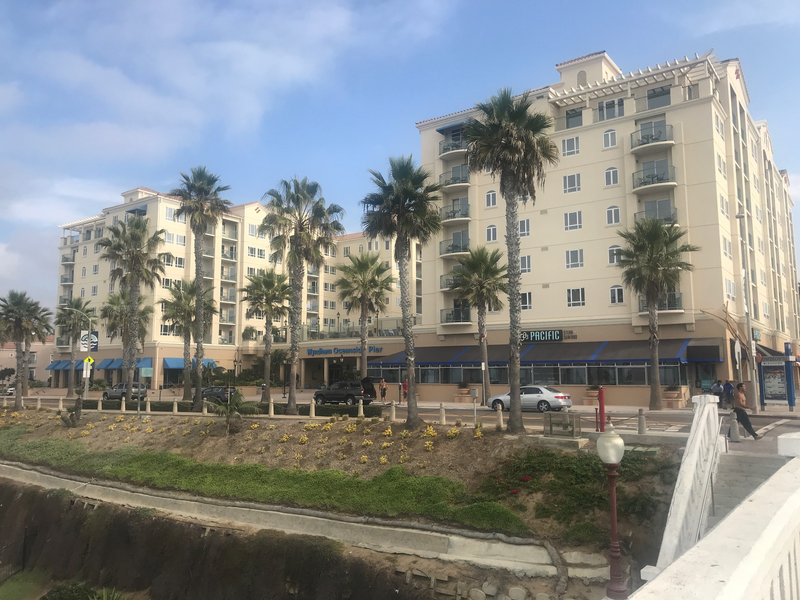 With an ideal location at the end of one of the states longest recreational piers and across from the beach, you cant help but fall in love with this new resort. 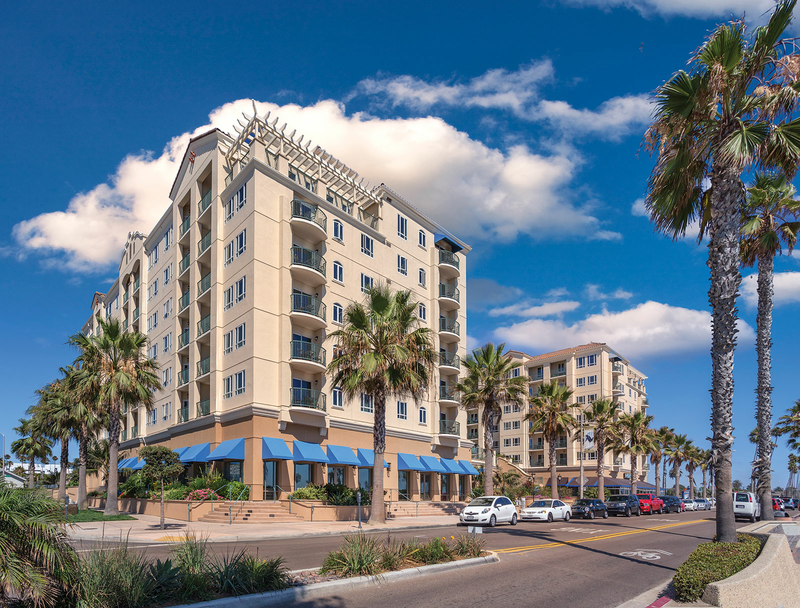 Enjoy a temperate climate and modern delights in a community that has long been a favorite among surfers and artists. The exterior of this resort features Mediterranean architecture. 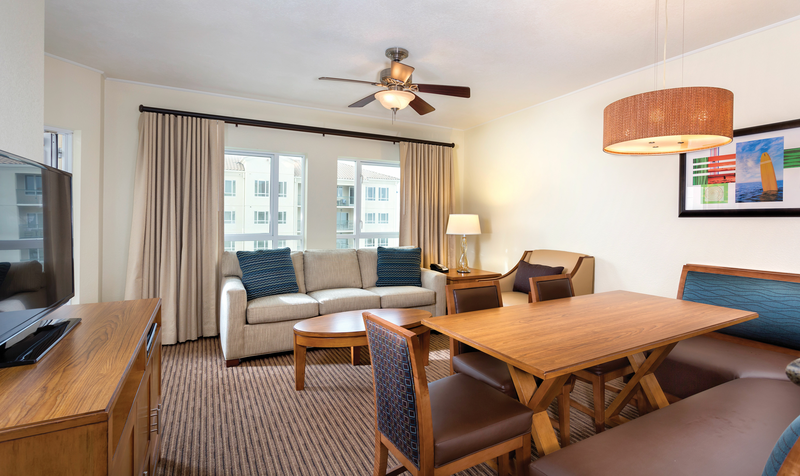 The interior feels like a breezy beach cottage, and some of the units have ocean views. 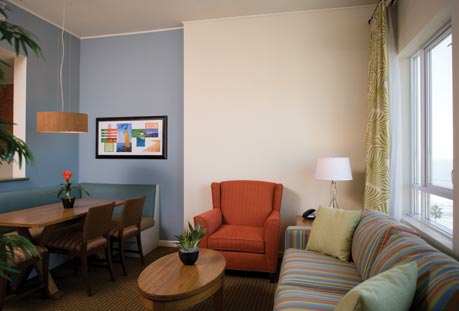 You have your choice of one-bedroom and two-bedroom suites with spacious living areas and kitchens. Youll love relaxing in the whirlpool tub. 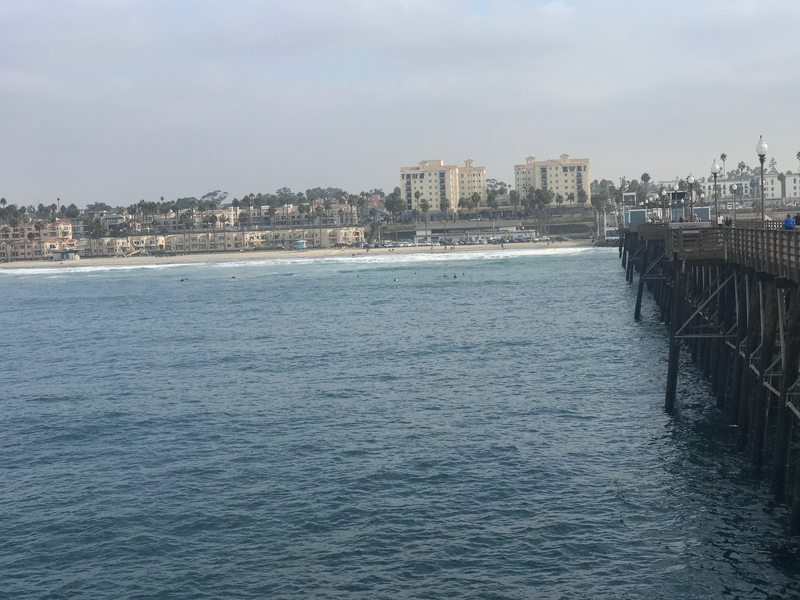 There are many amenities for you to enjoy at Wyndham Oceanside Pier Resort. For starters, a restaurant with outdoor patio seating will help you take in the California sun. If you prefer, do a little swimming in the lushly landscaped tropical pool, or catch some rays at the adjacent sun deck. You can also soothe your muscles in the outdoor hot tub. Grab a workout in the exercise room, relax with a massage from the on-site masseuse and wind down in the sauna. 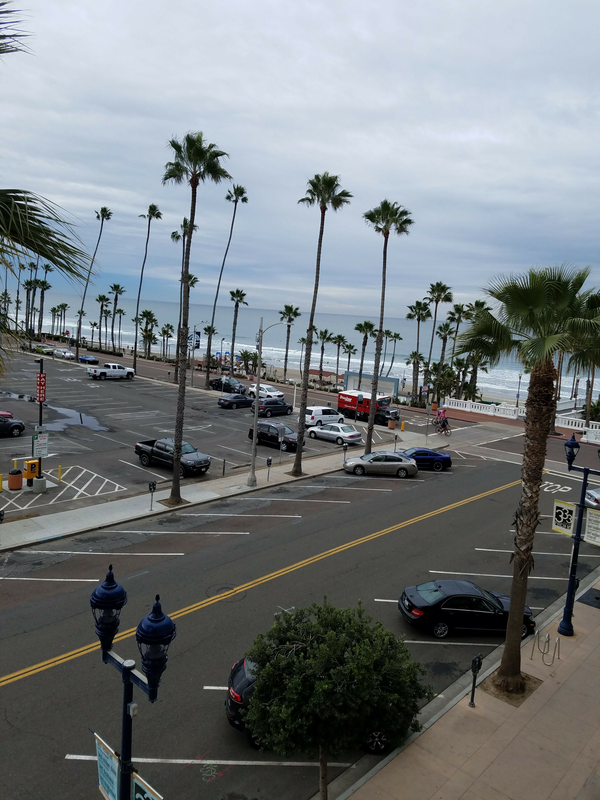 There are two terrific lounges where you can enjoy views of the Pacific. When it comes to area activities, you wont be disappointed. 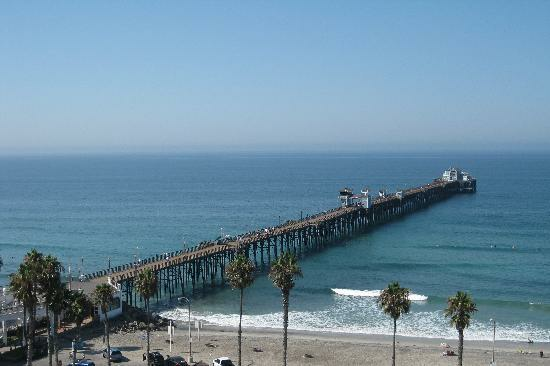 Nearby youll find the beach, golf, tennis, boating, fishing and more.